Cabramatta has long been hailed Sydney's Little Saigon. With noisy, crowded laneways and colourful arcades aplenty, this hub of culture and flavour is a food lover's wonderland. Sugarcane juice bars, Asian groceries, butcheries and fishmongers line the streets. Entrepreneurial grandmothers sell fruit and veg at makeshift stalls, and dressmakers trawl through clusters of fabrics. This truly is a bustling metropolis. Our tip: Start the day with a strong Vietnamese coffee (served hot or chilled, with sweetened condensed milk), and prepare yourself for a day of unique finds, wild aromas, and non-stop eating. Breakfast, lunch or dinner, these made-to-order baguettes are worth queuing for. Offering one of Sydney's best bánh mi thit (Vietnamese pork roll), Viet Hoa Bakery has assumed a cult following for their flavoursome street eats. A Vietnamese breakfast staple, at Pho Viet the pho arrives with shavings of beef and a self-serve platter of bean sprouts, basil and lemon. Their pho dac biet specialty comes with beef balls, bible and honeycomb tripe, and tendons. Satisfy your dim sum cravings at this famed yum cha joint. During lunch hour the line creeps down the stairs and occasionally out the doors, with locals desperate for their steaming hot parcels of joy. Specials include their chicken and jellyfish salad, crab claws and fried seafood rolls. Dreaming of crispy chicken? Tan Viet Noodle House delivers fresh, juicy, golden chicken, which never fails to draw a line of hungry diners. Other delicious morsels include steamy beef stew, pork chops with fried egg, and curried goat. 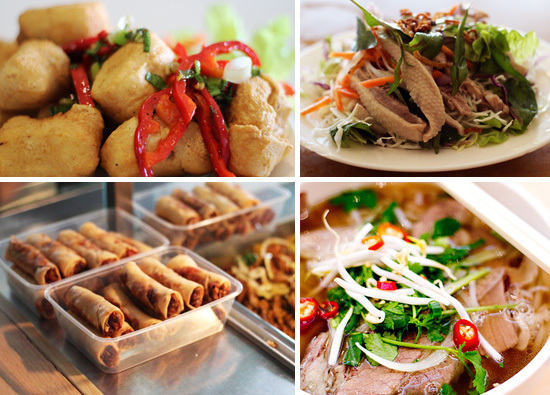 For fast, cheap and authentic Vietnamese fare, Tan Hung Vuong has you covered. 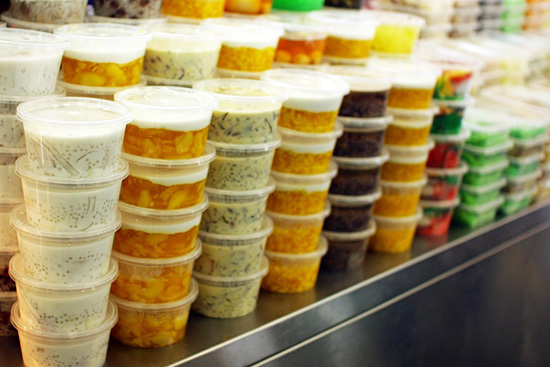 Offering cold noodle dishes, wraps and rolls, they also have an array of takeaway desserts and pre-made lunch boxes. Serving up some of the best yum cha in Sydney, Iron Chef delivers a traditional Chinese lunch of tantalising sweet and savoury flavours. By 11:30am, trolleys are frantically pushed about the large dining hall, offering popular yum cha classics as well as delicacies like chicken feet, Peking duck pancakes, and fried taro dim sum. With exotic, tropical favourites like mangosteen, rambutan, banana bell, green papaya and wax Jambu (otherwise known as wax apples or love apples), Thai Hung Asian Fruit Market is a paradise for fruit-fanatics. This family owned fabric store specialises in dance and costume fabrics, and also offer an impressive collection of cottons, bridal laces, crepes and satins. The friendly team of staff at My Hung Fabrics offers expert advice when working with specialty drapes. Whether you're a budding designer or a seasonal seamstress, SOGO Fabrics offers a vast array of high-quality textiles. Specialising in exquisite bridal and evening fabrics, their collection of lace spans France, Italy and beyond!